Andy Simmons has this wild western dream. It includes an Airstream trailer in the Mojave Desert, where he spends his last days as a complete boss, with long white hair - surrounded by snakeskin and sounds of nature. 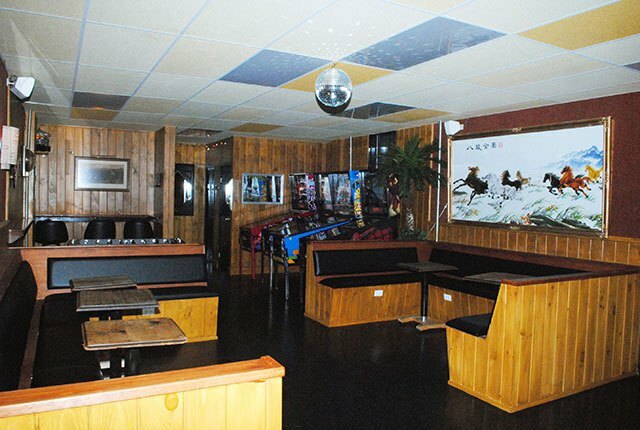 Although he did not confirm Birdy’s is the forerunner to this vision, there is no doubt when you walk into the 1215 Myrtle Avenue establishment, you have entered into a man cave of the past, with some 1970s’ Nevada influence. 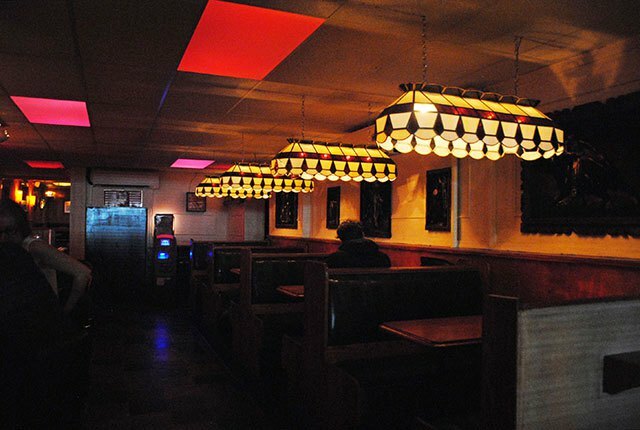 “A comfortable, unpretentious place to go,” is how owners Andy Simmons and Holly MacGibbon describe Birdy’s. We couldn’t agree more. 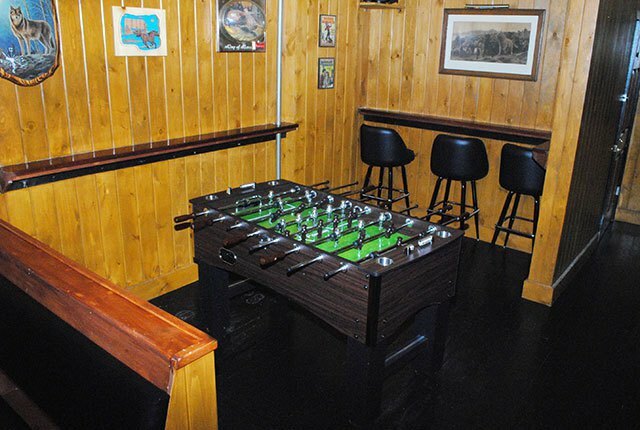 The duo teamed up with well-seasoned Bushwick bar partners Matthew Webber and Ben Altman (Old Stanely’s, The Narrows, King Noodle) to provide JMZ Myrtle / Broadway residents with a new hangout spot, conveniently located right between Happy Fun Hideaway and Little Skips! 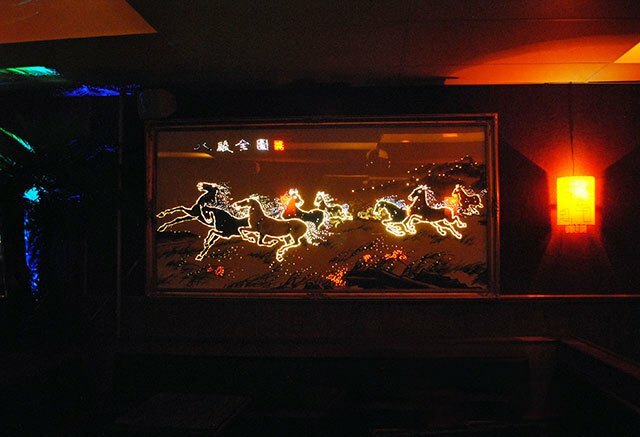 Tiffany-style lamps, glowing Christmas lights and wild-west paintings adorn Birdy’s dimly lit interior, creating an intimate and cozy spot for friends to gather. 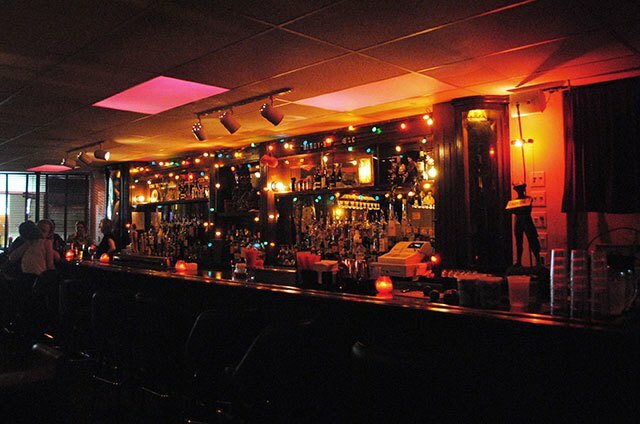 One can enjoy well-priced cocktails, a decent beer selection and free bowls of party mix, all while admiring the impressive Elvis bust (wearing a Mets cap in support of the playoffs), Kiss memorabilia and glass-enclosed bull skull on display. Behind the bar, a red curtain discreetly hides a television that's pulled exclusively for select sporting events and award shows. But wait - there’s more! 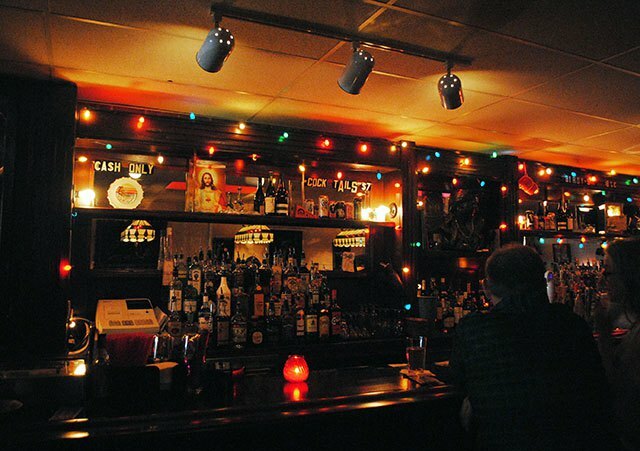 Some may recognize the corner location previously housed Norbert’s Pizza (RIP! ), but it’s pretty clear the space has been renovated significantly since. 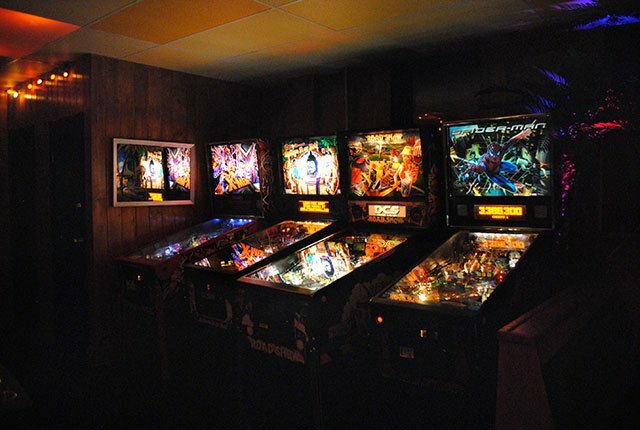 In fact, an entire back area was added – which Andy has coined as the ‘fear and loathing room.’ Fifty-cent pinball (the machines accept dollars! 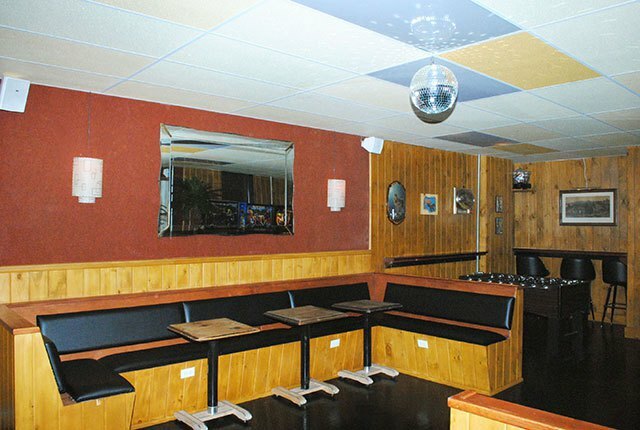 ), free foosball and spacious group seating inhabit the space, while a hovering disco ball and a glimmering horse painting provide some additional retro details. Holly and Andy are not only badass bar owners, but they also are known as Weeknight – a dark, electro-pop band that has previously toured with their now-friends, Phantogram. So you can already guess that the music choices are on point for this eclectic venue. Holly curates the playlists – which range from punk rock, to 60s’ soul and 90s’ hip-hop. This way, the bartenders can choose their own vibe when they work, while keeping it general enough for the guests. “Don’t expect Drake to be played here,” Holly noted. Not only are Birdy’s music choices straightforward, but this also rings true for the cash-only beverage options. The beer selection has something for everyone, which includes Tecate, Sixpoint and rotating seasonal drafts ranging from $3-$7. Organic red and white wines are offered for $8 or $9 a glass. The 70s’ themed cocktails go for only $7. 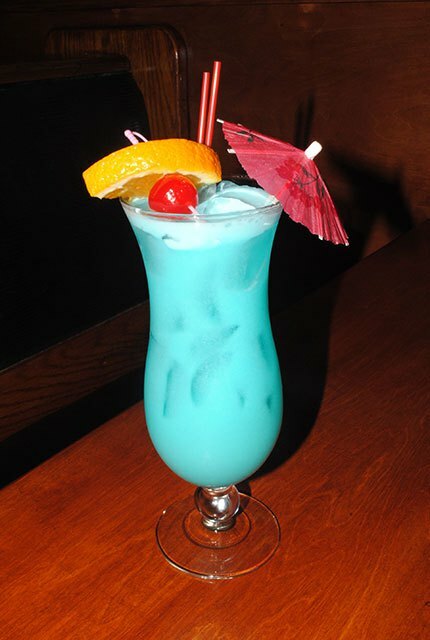 Holly, Andy and their friendly bartender Felicia, all highly recommend the Blue Hawaiian - which combines rum, lime, coconut cream, pineapple and Blue Curacao. It certainly is deceivingly delicious (and pretty to look at!) – you don’t realize how strong it is, until your last sip. If your favorite drink isn’t listed however – just ask for it. 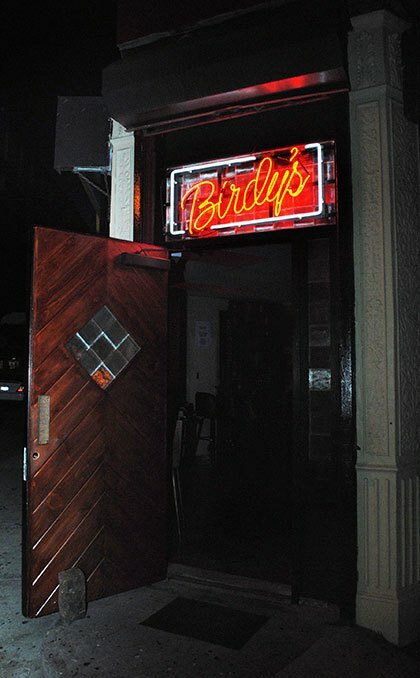 While there's no food served at Birdy's, the bartender will provide a binder full of take-out menus – which I personally think is genius. You can choose whatever cuisine your heart desires and you get to support the surrounding Bushwick restaurants. Archie’s has become already a popular delivery option – sometimes even making multiple deliveries a day. Considering the welcoming bartenders, the laidback atmosphere and a $2-off Happy Hour, it’s not surprising the Bushwick community is reciprocating the hospitality Birdy’s has to offer.